Of all the supporting aliens that will soon feature in Rogue One: A Star Wars Story next month, Bistan is arguably the one to have already struck a chord with the online fanbase. 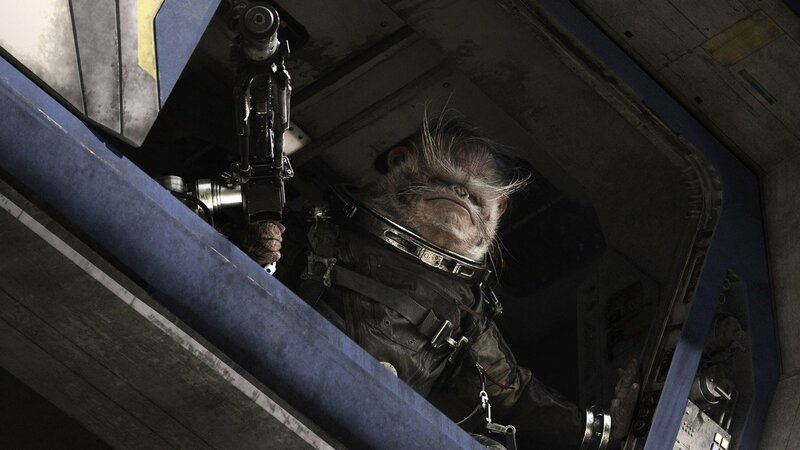 Lovingly referred to as the Rogue One “Space Monkey” since he first appeared at Star Wars Celebration, new character profiles published via the Databank on StarWars.com (thanks, /Film) shed new light on both the gun-toting Bistan and some of the other alien allies that will be fighting against the invading Empire in only a few weeks’ time. For those keeping track, the others go by the names of Moroff, Pao and our personal favorite, Edrio Two Tubes. Bistan: The efforts of the Rebellion have drawn warriors from across the galaxy, fighting to liberate their homes and free their people from the oppression of the Empire. Though Bistan wants to ensure the freedom of fellow lakaru, truth is, he’d rather fight no matter what, relishing the thrill of action. Pao: An amphibious Drabata, the fierce commando Pao charges into battle with the Empire while shouting a full-throated battle cry of “Sa´kalla!” as is his custom. He joins the Rogue One team on its historic mission to secure the Death Star plans. In related news, as Rogue One mania sweeps across the four corners of the Internet, Entertainment Weekly has premiered a series of new stills for the Gareth Edwards-directed actioner. You can find all of them included in the gallery above, while the outlet also published an official description on Captain Cassian Andor, the veteran Alliance spy to be played by Diego Luna, along with his confidant Tivik (Daniel Mays). Rogue One: A Star Wars Story makes a beeline for theaters on December 16. If you’re pining for more Star Wars content, look no further than our comprehensive guide to Disney’s prized asset, designed to clue you in on the past, present and future of this most beloved franchise.